Please see screening details below. 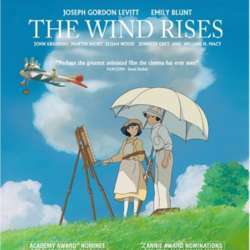 Cinema Akil at the National Science, Technology and Innovation (NSTI) Festival for a Studio Ghibli favourite with THE WIND RISES, directed by the beloved Hayao Miyazaki! The free-to-enter NSTI Festival will run till Monday, 4th Feb. at Dubai Festival Arena, near Dubai Festival City. It is organised by the Ministry of Education and held under the patronage of His Highness Sheikh Mohammad Bin Zayed Al Nahyan, Crown Prince of Abu Dhabi and Deputy Supreme Commander of the UAE Armed Forces.